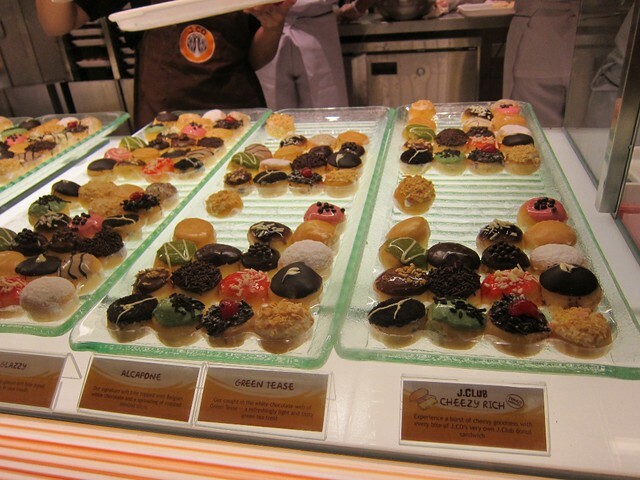 J. CO Donuts opened in Manila through its first branch in Megamall just today. Luckily for me, I was already somewhere near the area, so I was able to actually witness as they opened their doors for the first time to the Filipino public. 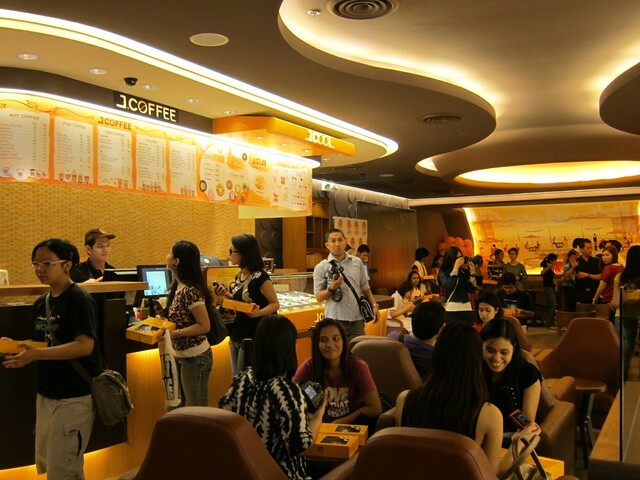 J. CO is actually a lifestyle cafe chain gaining popularity throughout Southeast Asia. It first opened in Jakarta, Indonesia in 2005 then expanded to Malaysia, Singapore, and even Shanghai. And what more, I was even one of their first 200 customers who got a box of 24 pieces of their baby donuts called J. Pops, for us to sample their flavors. Inside, the store was well-lit and designed in a way not common to the usual doughnut shops. There were two counters, one for the doughnuts, while across from it was their counter for juices and, surprisingly, even frozen yogurt. However, the frozen yogurt was not yet available earlier. 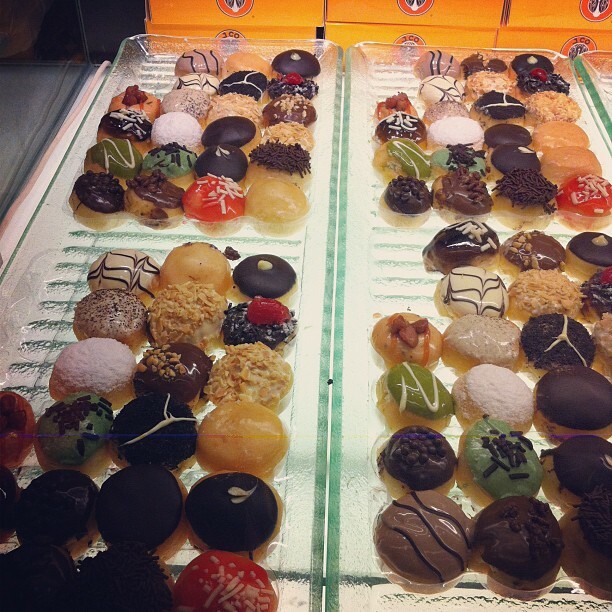 J. CO Donuts are priced somewhat close to Krispy Kreme, at P42 per piece and P350 for a dozen. The doughnuts were cute, colorful, and varied. The first thing I noticed after biting into their doughnuts was that they weren’t too sweet, or at least, not as sweet as Krispy Kreme’s doughnuts. I don’t know if because they were almost bite-sized so I wasn’t able to taste the full flavor of each doughnut variety, but I honestly didn’t find them that spectacular. I heard that their Al Capone flavor is their best selling doughnut but when I bit into its baby sized J. Pops version, I honestly felt, well, underwhelmed. I thought the almonds really didn’t have too much flavor or perhaps since the dough wasn’t sweet at all (even if it’s supposed to have white chocolate), the almond flavor didn’t contrast well with the dough. I know I got those J. Pops sampler size doughnuts for free but I’m just being honest—I won’t rave about something I honestly found underwhelming. I use the word “underwhelming” because I honestly expected something more. 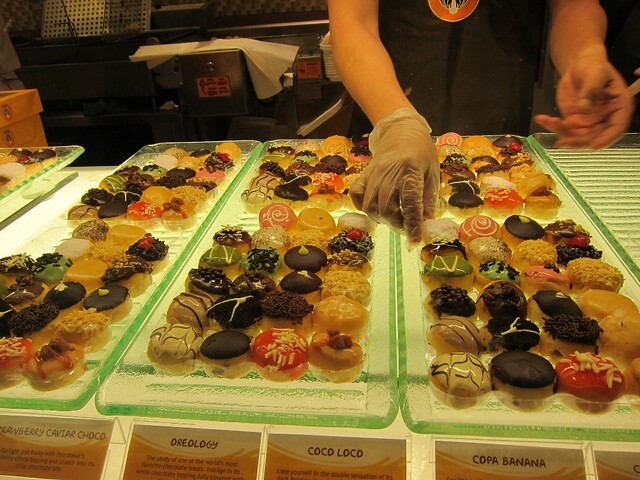 Months before the much-touted opening of J.CO here in Manila, I’ve read quite a few posts from Pinoy bloggers who received samples of J.CO donuts and from their gushing reviews, I really thought these doughnuts would taste extraordinarily special. But I’m just being honest when I say that they didn’t taste spectacular to me and I was left wondering whether I was just taken in by the hype and the pre-opening marketing that J. CO Donuts aggressively pursued, and which now makes me question whether their products are really good or just overrated. But then again, perhaps my opinion was also affected by the fact that because what I tried were just the J. Pops sizes (maybe the bite-size J.Pops weren’t able to fully capture each flavor), they were still on their first day soft opening, and also perhaps because in anticipation of the crowd, the batch of J.Pops I got were “pre-baked” (they weren’t hot when I got them) and thus weren’t fresh enough to last all through the afternoon, when I tried most of the doughnuts. I’m not sure also if it’s because J. CO’s doughnuts really should taste differently, since it’s supposed to be a lifestyle cafe chain that marries the Western concept of doughnuts with “exotic touches” of Asia (case in point, their green tea flavored doughnut). Admittedly, this is the first international doughnut brand in the country that did not come from the United States, unlike Dunkin’ Donuts, Mister Donut, or Krispy Kreme. 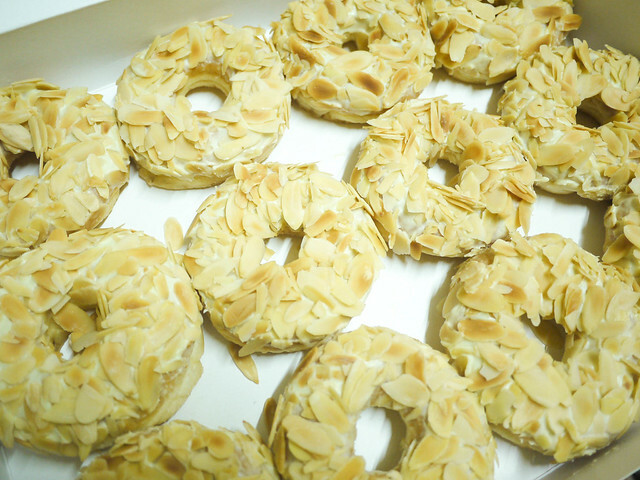 And while Go Nuts Donuts is a local brand, its taste is definitely sweet and something more similar to Krispy Kreme. So maybe J. CO’s doughnuts really just have a different taste, which may take some getting used to, especially if you’re the type who wants that extra sweetness in doughnuts, especially when paired with coffee. I don’t know if J.CO’s doughnuts will taste better for me if I eat them in regular size (I wanted to buy regular sizes earlier but they weren’t available yet). One of these days perhaps I will and let’s see if their doughnuts will manage to amaze me then. Whoa! What a crowd! 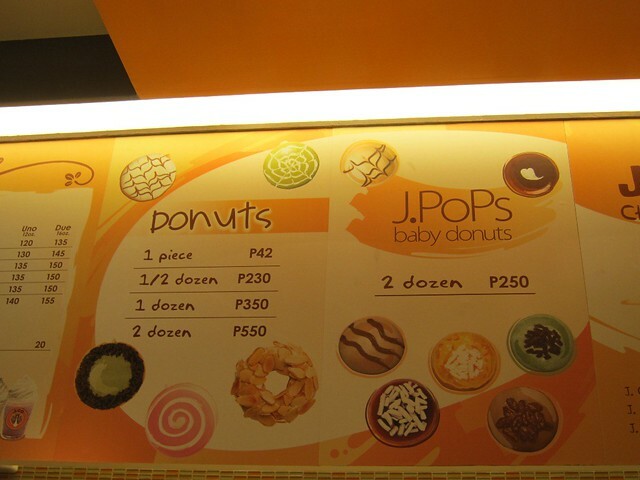 If the 2 dozen J Pops is only for Php250, that’s a good deal na. 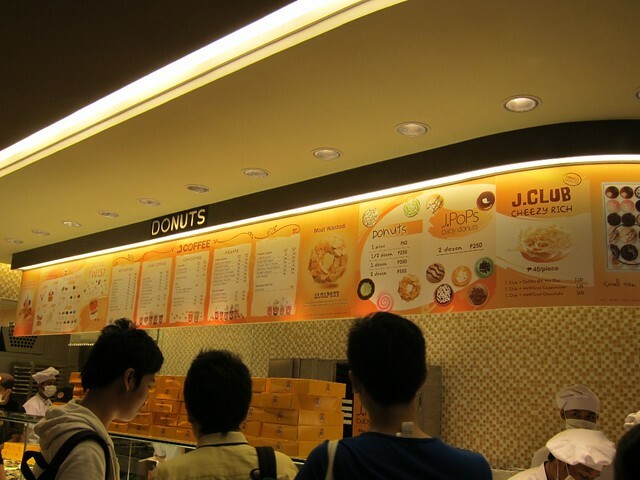 I’ve lived for sometime in Jakarta – here’s the thing: Ignore the J.Pops and go for the kill; eat the regular donuts! Eating J.Pops is like eating breadcrumbs (way too small). Don’t mind the calories too. Recommended flavours: Green Tease, Coco Loco, Al Capone (have an iced tea (not iced lemon tea), without sugar in between. Cheers! Exactly. If, as you say, J. Pops is really just like eating bread crumbs, then I think it was somewhat a mistake for them to have used J. Pops as their samples for their opening day, when it was the perfect time for the public to have a taste of their products. 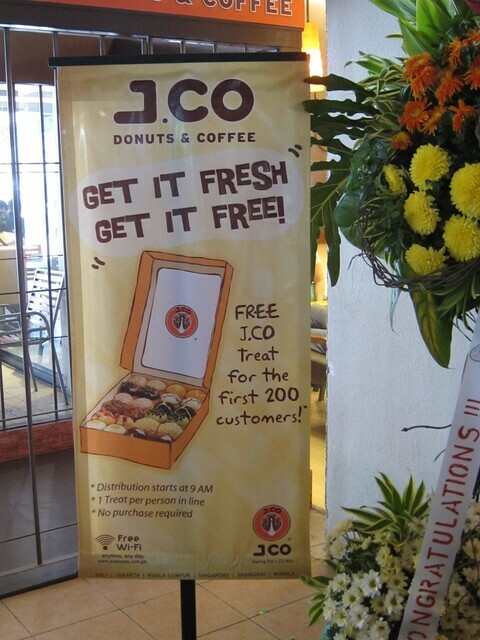 IMHO, what they could have given away instead were regular sized donuts–even just a half dozen of their bestselling flavors 🙂 Anyway, thanks for the reco. 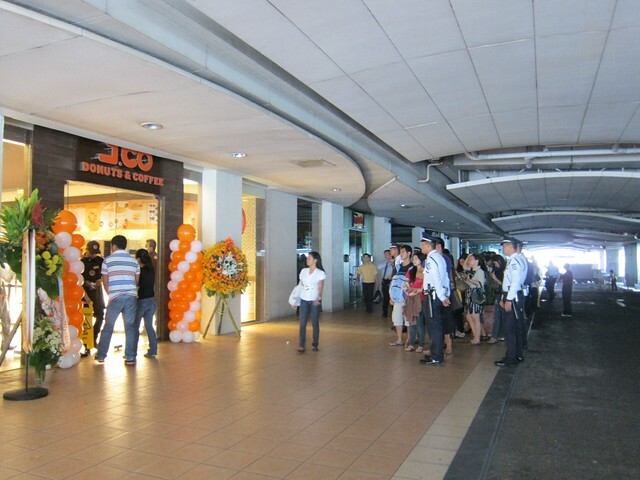 I honestly don’t understand why people would queue for hours just to get their hands on a J. Co donut. I tried their donuts with an open and unbiased mind, but there was nothing special about them. In fact, I found that the green tea and avocado donuts were merely sweet; their flavors were not distinct. 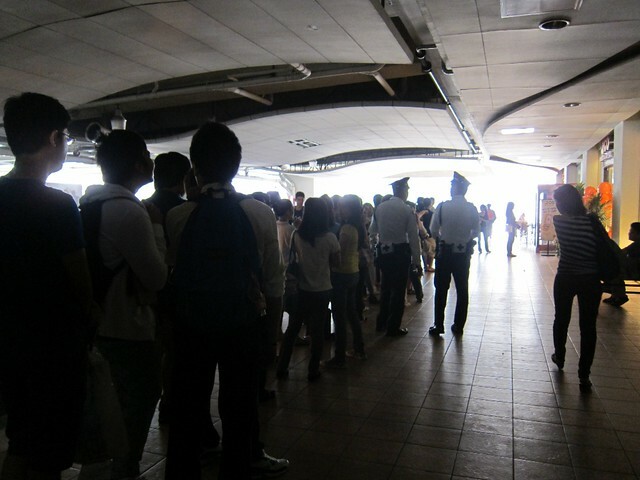 I still like Krispy Kreme donuts more, but I wouldn’t queue for them for hours either. They’re just donuts, not NBI clearances or passports. I want to try their regular donuts next week. nacurious talaga ako sa lasa, been seeing raves about it. i will try my luck with the ATC branch. hoping the line doesn’t get me stuck for 2 hours there. Goodluck lang hahaha. also they have phone order numbers now so you wont have to fall in line.